This entry was posted on Monday, July 11th, 2011 at 22:49pm	and is filed under Etc..
Nice, though is it just me, or does it kinda remind you of some of the Inception posters? I guess Nolan really likes skyscrapers. MMm, I smell No Man’s Land in this movie. That’d be awesome. Brilliant poster nonetheless. You’re just baiting us, right? It’s a great, great poster! Love it! In other news… what about this being the end of the Dark Knight story? It’s a trilogy? What? If the directors would quit being so myopic, Batman could be like James Bond and go on and on and on…. The first four directors in the Bond series averaged three movies apiece, you know! They are planning on continuing this franchise, it will just be with another director than Christopher Nolan. He’s gone on record in several interviews saying he’s done (directing them) after the third one. He’ll be producing the next one, like he’s producing the Superman movie the Zack Snyder is doing. And â€” without getting into possible spoiler territory since you don’t seem to follow the movie news as closely as me â€” there are definitely going to be callbacks to the first film, so it will function as a trilogy to some extent. And would you really rather him make more Batman movies, or more original films like Inception (or if not “original” films, good adaptations like The Prestige or Memento). Oh, cool. I could care less if it’s the same director. It just sounded like this “vein” of Batman was going to be cut off, which seemed dumb. I don’t think it even needs to keep being Chris Bale and I definitely don’t care if the director changes just so long as they maintain some of the overarching aesthetics (like they do with Bond). P.S. With me (at least), you never ever need to worry about spoilers. I could care less about spoilers. They don’t change anything (for me). Oh God no. 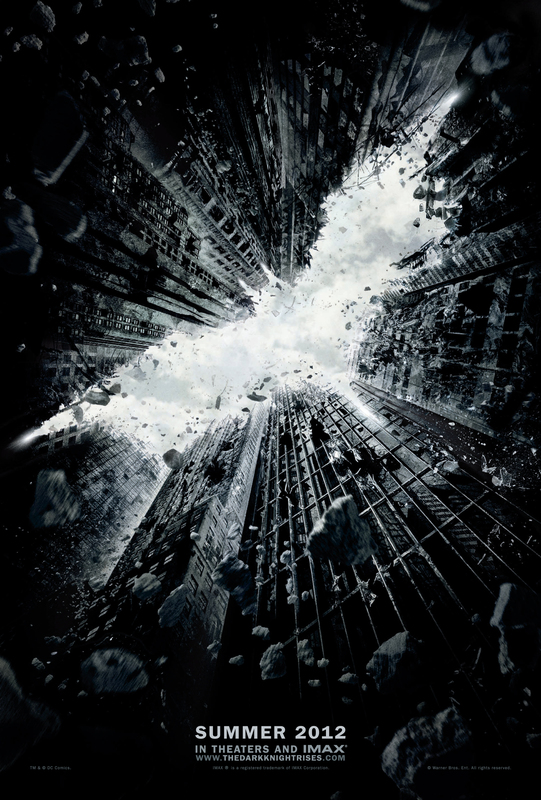 Warner’s not stupid â€” the Dark Knight made over a billion dollars just at the box office. A billion. We’re pretty much guaranteed another three movies after Rises, at least. It will take a pretty special kind of terrible to kill this series’ momentum. Okay, as for the (minor) spoiler I was talking about, Liam Neeson is back as Ra’s al-Ghul (by way of the Lazarus Pit, of course). I don’t really think this is much of a spoiler, but I don’t think Warner has even officially announced it, soâ€¦ they’re trying (sort of) to keep it under wraps. Honestly, I’m looking forward to Bale stepping down. I don’t like him as Batman, especially his stupid Batman voice. Nolan is good, of course, but he’s better with tone than action, and I’d really like to see Batman cut loose more. One of my most controversial movie views is that actors are just props that can talk. In general, I don’t much care about them… except for hot starlets who are fun to look at. So, yeah, move Bale along, whatever. I bet a young Clint Eastwood could nail the whole thing. A young Bruce Willis might not do bad, either. Too bad we won’t see either of those movies. All time ever, I have no idea. I don’t really think about that stuff. I think Armie Hammer could be a great one in a few more years, though. I think he needs some more lines on his face to pull off The Bat. He was actually cast as Batman in the George Miller Justice League that was killed off at the last minute, so it’d be funny to see him finally be Batman.